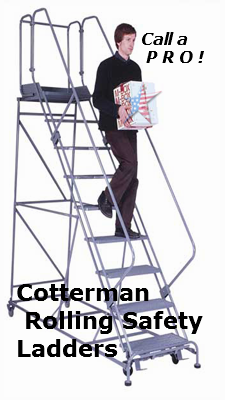 Workmaster Cotterman ladder, For the workspace that demands the toughest ladder. 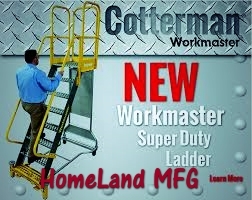 Cotterman introduces the Super Duty Workmaster Ladder ! 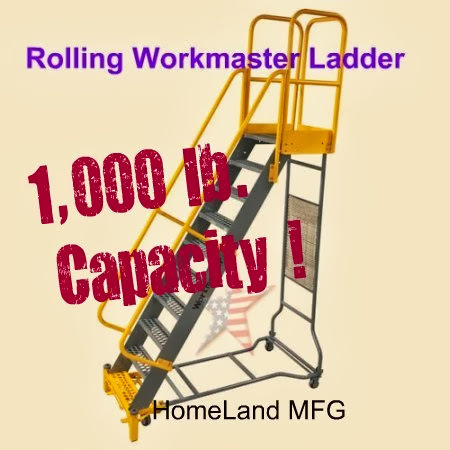 The WORKMASTER ROLLING LADDER with 1,000lb capacity! 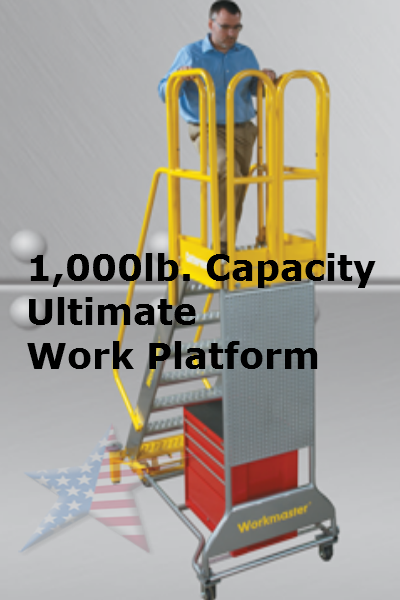 For the toughest jobs, Cotterman introduces the Super Duty Rolling Workmaster ladder. 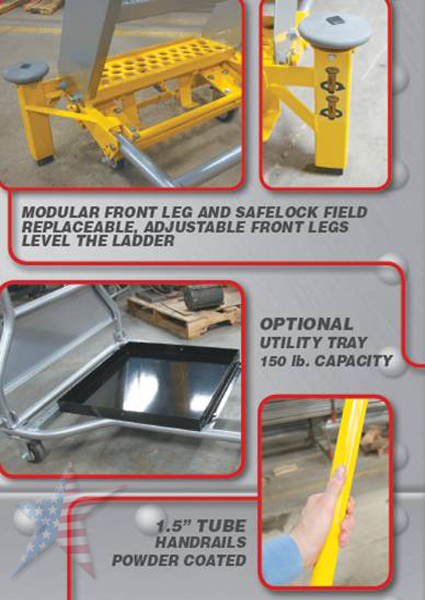 Built with extra heavy duty components, this ladder is resistant to all the dings and bumps in harsh work environments. 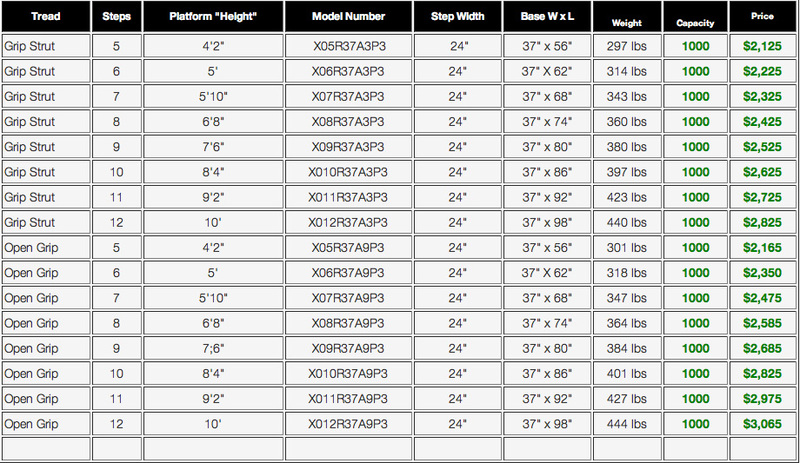 The Workmaster is also customizable with an array of features and options to adapt the ladder to specific work areas. 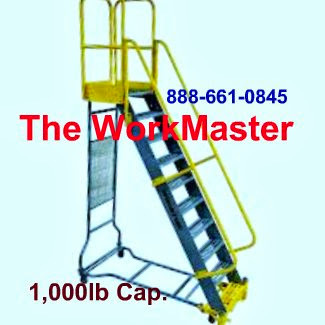 Essentially the Workmaster Super Duty Ladder can become a mobile assembly or repair shop for anything out of reach. 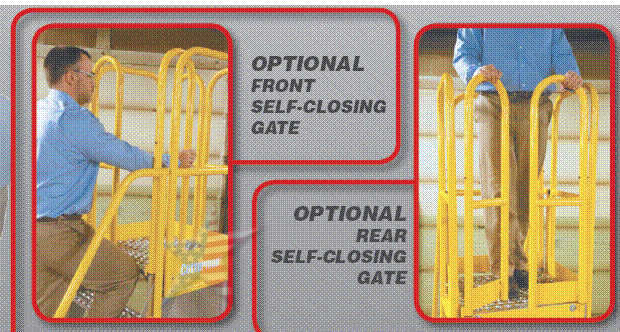 Optional Gates on Top! Two tone powder coat finish creates high visibility and can be order in an array of different colors.